The Boho Hobos: Hello Last Year Of My Twenties! Hello Last Year Of My Twenties! Hello lovelies! Well, it’s that time of year again. Time for the wheel to turn once more. Time for me to add another year to my life. It was a year well spent. It was a year full of adventures with my family, love, memories, bonding-as we grew to respect each other’s space in our 232 sq ft home and joy. Lots and lots of joy! I started off my morning with my typical 5 minute shower. RV’s don’t exactly come equipped with loads of hot water at your disposal, lol. That’s alright though. We’ve all adjusted to taking Navy showers. After that, it was time to roll out the mat and practice my inversions…as well as try a new move. Scorpion to be precise. Oooo la la. All showered and clean and ready to sweat…cuz that makes sense. Not bad for a pic taken by a 3 year old! This is only as far as my Scorpion got without a spotter. I was too fearful of crashing into my refrigerator and breaking my back, lol. Still though, I was impressed that I even got my head off my mat…even though I was leaning against the wall. I’m still using my ceiling to assist in my Handstand. I’m getting in and out of it easier now though. It’s just a matter of time before muscle memory kicks in and I fly! Now for my easy (and favorite) poses. After I was done playing, I set to work trying to figure out how to make myself (and my family) a Vegan birthday cake. I wanted something decadent and delicious…and filled with chocolate. Something easy too…and something that I already had ingredients in my home for. Our truck is still in the shop getting its Transmission rebuilt…I am soooooooo thankful for warranties!!!! We only had to pay $450 of a $2800 bill! After I whipped that up, it was after lunch and my beautiful girls had a surprise for me!!! Here’s a video of Cinderella singing Happy Birthday to me. They presented me with a birthday cake of their own making! It was so sweet and thoughtful and brought tears to my eyes. After Cindy had her nap, Daddy got home and it was time for some more horsing around. I ran inside to work on my cake idea that I got. It was a throwback to the cake my BFF got me 2 years ago when Nic was in Virginia without us. She didn’t want me to be alone on my birthday, so she had me and the girls over to hang with her family for the day. There were even flowers and gifts. I love her so much for doing that for me. I will never forget it. So glad I could be with my Hubby this year (and last) on my birthday. One birthday without him (since meeting), is one too many. While we were playing outside, I was waiting for my cookie cake to finish baking. I took a standard, nestle tollhouse chocolate chip cookie recipe, turned it Vegan by using Carob chips, Earth Balance dairy-free “butter” & egg-substitute (not egg beaters…this is truly egg free) and poured it all into a 9x9 square pan. I let it bake for an eternity…seriously. I think it was about an hour. I frosted it with my Vegan Chocolate Mousse and decorated it with blackberries. Even Nic and the girls were oooohing and aaaahing. I didn’t have enough candles…or # candles, so I did 2 and 9 for 29, haha! My yum delicious vegan birthday dinner. As good as dinner was though, it just didn’t even come close to my super tasty, vegan chocolate mousse-chocolate chip cookie cake!!! Say that 5 times fast. And they got me cards! I was sure they’d forget, lol! The perfect birthday ended with a gift card from my Hubby to www.soulflower.com to spend online, and some evening family cuddles. It was a fantastic day full of love and togetherness. I really couldn’t ask for anything more. I am so lucky and blessed to be able to spend this day with my Husband…the 4 of us together. 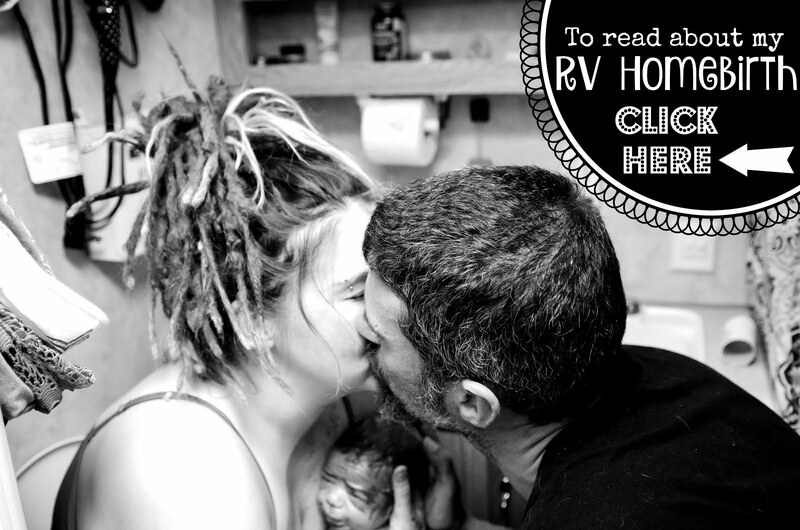 It’s just another reason to be grateful to my Husband’s company for allowing us the privilege of full-time RVing. I wouldn’t change a single thing about my life right now. And that’s the greatest birthday present in the world.